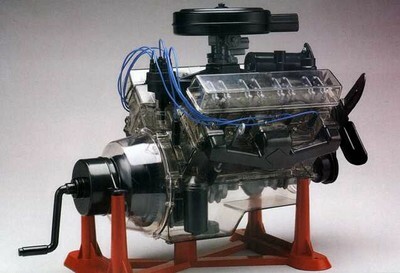 One quarter the size of a real V-8 engine, the Revell 1/4 Scale VISIBLE V-8 Kit is our most popular visible engine kit. It's over 12" long and features over 100 moving parts inside a transparent engine block. The intricate, perfectly timed movements of the engine as you rotate the crank at the rear of the block. Note: Each engine kit ships in it's own carton and requires a separate shipping fee. ©2019 Amato's Toy and Hobby of New Britain.